This quote defines my passion for real estate. Choosing the right Realtor to represent you in the biggest financial transaction of your life can be daunting and overwhelming. Having recently joined William Pitt Sotheby's International Realty, I bring 12 years of real estate experience to partner with a broker that offers the highest level of marketing strategy, service and global representation. Let me tell you why I'm the right choice for you. I graduated from the University of Minnesota in 1989 and began a twelve year journey of corporately relocating ten times with my family before settling in Ridgefield CT in 2000. Real estate was a natural and seamless transition as my role as a stay-at-home mom evolved into the professional arena. My ability for empathy on both sides of the transaction based on my many years of relocating has allowed me to provide uncompromising service with outstanding results for my clients for over 10 years. "Deb was assigned to me by my company's relocation service. We hit the jackpot! She ensured we didn't waste time looking at homes that didn't fit our family (and could explain why), knew the area, knew the home process and worked to ensure we got the best deal. Having purchased several homes in different states, I can say she is the most professional, personal and knowledgeable agent I have ever worked with." Sandra and Tony G.
"Deb is a high-energy, true professional, and a great communicator. You can trust that Deb is on top of every issue, and trust her knowledge of the real estate market. She is a true professional in every sense of the word." 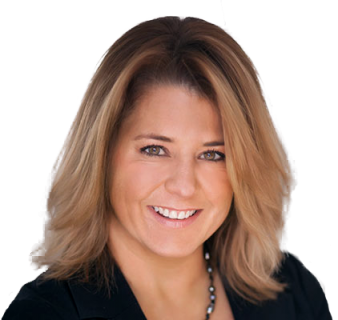 Suzonne W.
Consistently awarded the Five Star Real Estate Agent award from 2011-2019 by CT Magazine, I was also designated a Gold Star Producer for William Pitt Sotheby's International Realty in 2016. I continually strive for excellence in my industry. Prior to joining William Pitt Sotheby's International Realty, I was a Top Producing Agent at Weichert, Realtors and a member of the Chairman's Club for the top 10% of agents in William Raveis Real Estate before that. My clients appreciate my experience, commitment to detail and follow through, and my high level of personal interaction in getting their transaction from the planning stages to the closing table. I am knowledgeable, dedicated, and client-oriented. Whether selling or buying, my passion to offer the highest level of customer service to my clients is the cornerstone of my business.